Check out this popcorn recipe for your next football watch party. Football is back, and so are delicious watch party treats. From chips and dip to burgers and beer, food is arguably one of the best parts of the return of the season. 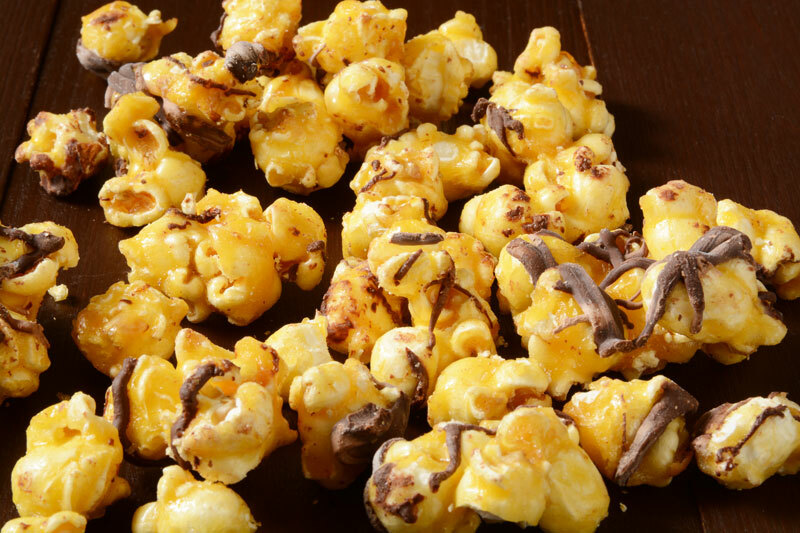 Whether you’re tailgating or hosting a watch party, mix up the game day snacks with this chocolate toffee popcorn recipe. Here’s what you’ll need to get started. Start by preheating the oven to 350 degrees. Prepare the crust of your bars. Lay out your graham crackers so that the entire baking sheet is covered. Next, sprinkle your popcorn, peanuts, and rice cereal over the graham crackers. Set the baking sheet aside and work on making the toffee. In a saucepan, bring the butter and sugar to a boil over medium heat. Once it boils, reduce heat, and allow the mixture to simmer. Be careful to keep a careful watch and to stir occasionally to prevent the toffee from burning. It should take 8-10 minutes for the toffee to form. Once the toffee is ready, pour it over the popcorn and graham crackers. Pop the baking sheet in the oven and let it cook for about ten minutes, or until the toffee has started to bubble. Remove the baking sheet from the oven and sprinkle the mixture with chocolate and sea salt. Break the bars into pieces and enjoy while watching the game. Keep your watch party as safe as can be with the right insurance. For all your insurance needs, contact the professionals at The Schwab Agency, located in Colleyville, Texas.